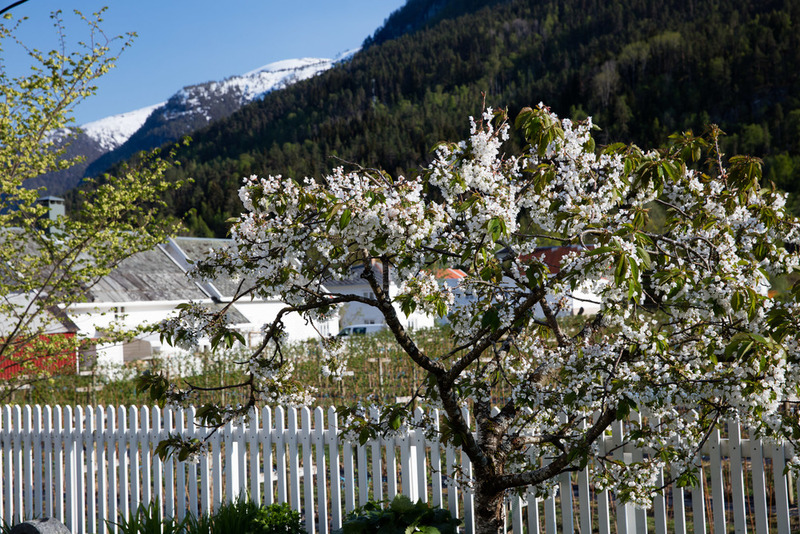 Discover picturesque Solvorn, in the heart of the deepest fjords of Norway. 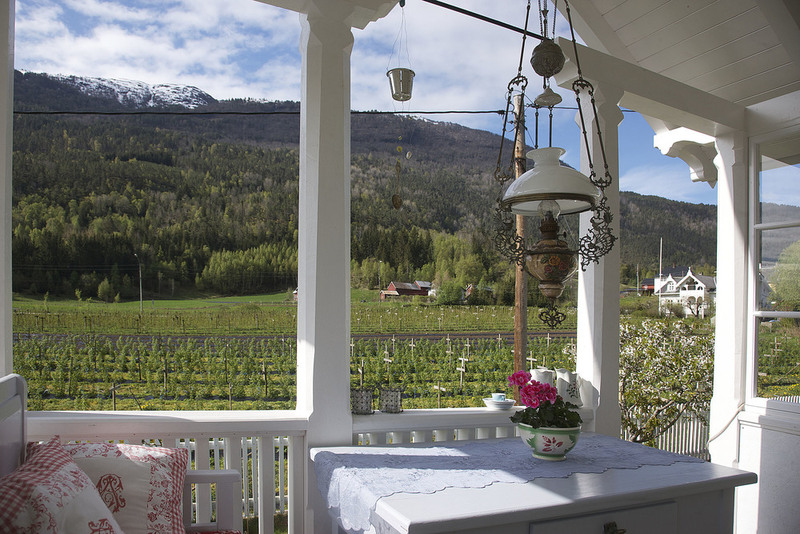 Villa Solvorn is the place you stay for Bed & Breakfast at a little house in the center of the village of Solvorn. After a successful first season, we got a lot of good feedback. It´s a pleasure to be allowed to meet so many nice people from all corners of the world ! All photography provided by Oskar Andersen©. 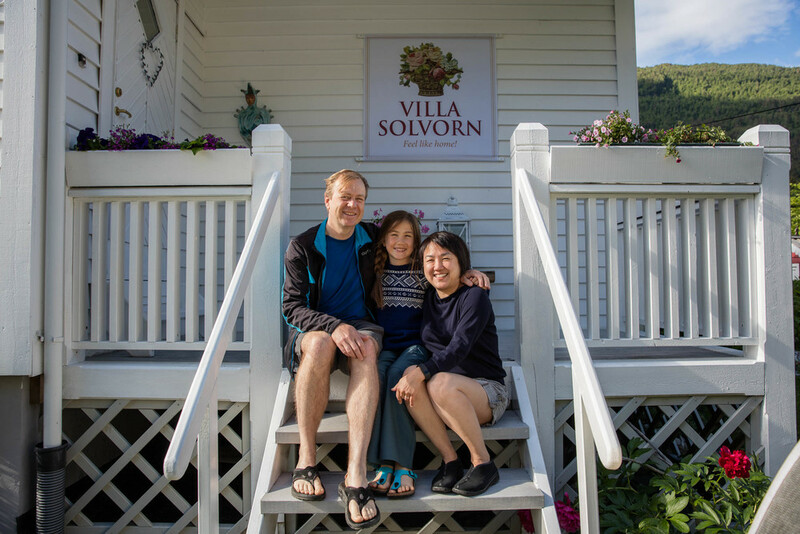 Villa Solvorn is a small family-run guesthouse. All rooms are bright and homely with good beds. The family room is about 17 square meters, and the double rooms from 8 to 10 square meters. The house has two bathrooms and a single toilet, all shared. Communal lounge and garden with lots of cozy seating. 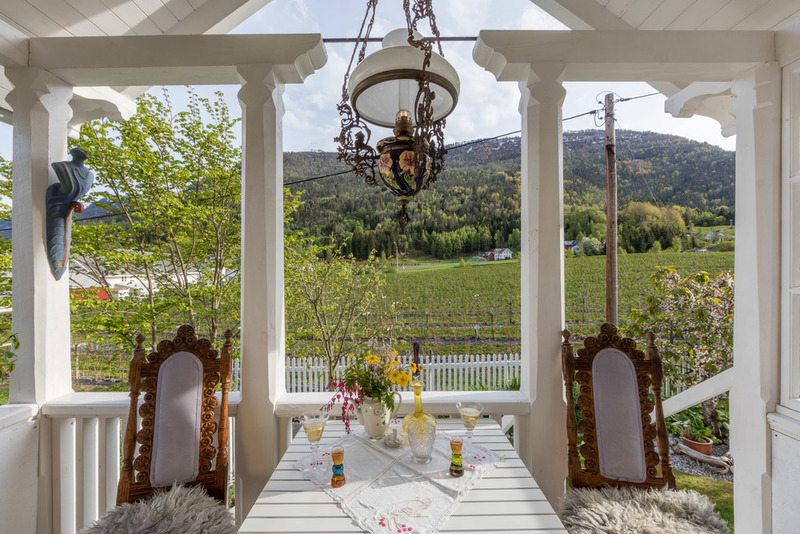 You can make your own food outdoor in the pergola wich has a grill. Smoking is prohibited indoors because fire alarms are installed in all buildings in the conservation area in Solvorn. You can rent ; two singel and two double kayaks, a 13 feet boat with 15hk outboard, two El-bikes and 5 bikes. We have free WiFi connection accessible for guests. Breakfast buffet by Oskar, Erlend and Alvilde. 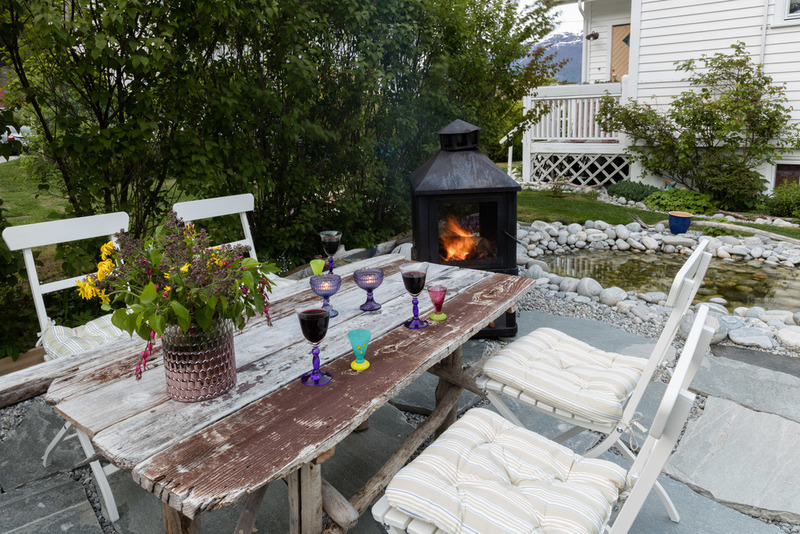 Oskar Andersen will welcome you at Villa Solvorn together with his son Erlend. 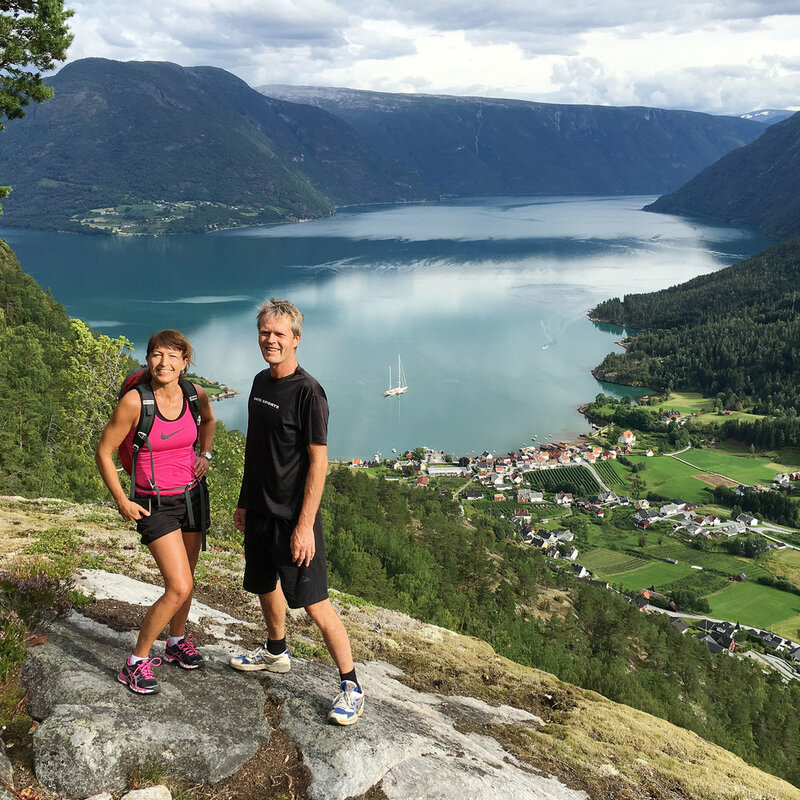 They will both take care of you and your family and friends, and help you throug your holiday in Sogn. Jesper is our housecat . He is almost 13 years old and very kind and he loves people . The cat is living nextdoor in the summer season, but if you have allergies to cats beware. Don´t drop Jesper into the main house.